Police have thanked the public for their assistance after quantities of drugs were detected in the region. 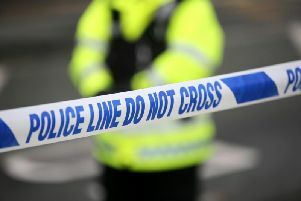 Detailing the investigation in a post on the PSNI Newtownabbey Facebook page, a police spokesperson said: “Police would like to thank the member of the public who phoned through information to police after finding a bag of suspect drugs in the Shore Road area of Newtownabbey. “Follow up enquiries identified a number of people involved who have since been dealt with and are being reported to the Public Prosecution Service.